Pets contribute a lot to our approach through life since they act us our stress-reliever and can help us in releasing tension and fatigue. It is very important to engage kids into having pets. A child who is given a pet to take care of builds up values such as patience, sympathy and humility that will sooner or later lead in the progress of learning how to treat people the same way. The idea behind this is that, pets make children responsible as they are given an opportunity to be a caretaker for a pet. With this, a child eventually learns that every creature is precious and therefore needs to be nurtured and guided. In the same way, they become disciplined, attentive and sensitive to others' feelings, too. 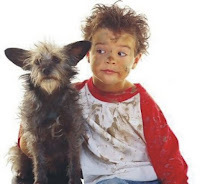 When kids do activities with their pets, they are likely to discover retaining focus on a particular task at hand and are less prone to become preoccupied. Pets are a part of our lives. It essential however, that when kids get involved with them, there must be proper parental attachment, education and supervision so that it may bring constructive effects on your kids therefore contributing to their wellbeing.